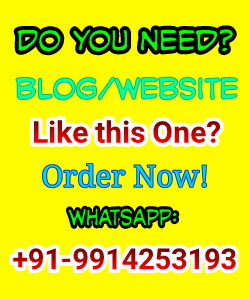 These days I am writing on File Sharing sites and their services. File sharing sites help users to send/transfer files to friends, colleagues, partners, family members and coworkers easily and free. Today I am going to write an in-depth review on WeTransfer and their services. 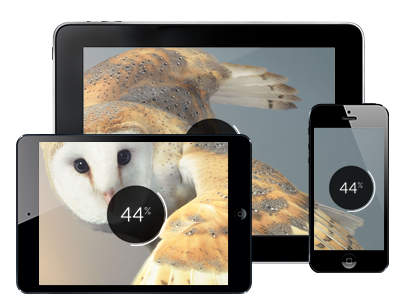 WeTransfer is a cloud-based file transfer service based in Amsterdam designed to send small to large files. 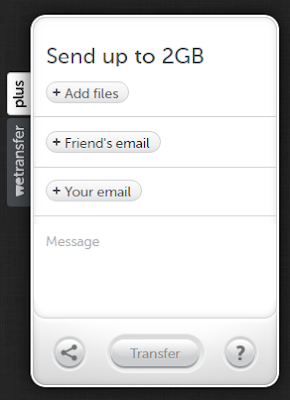 WeTransfer users can send files up to 2GB in the free version. The company is bootstrapped and was co-founded in 2009 by Bas Beerens and Nalden. For the people who love WeTransfer, and was looking for more. Whether it's for business or personal use. They have started 'WeTransfer Plus' version. Using WeTransfer Plus you can transfer up to 20GB in one go and keep it available for as long as you like. It has the ability to transfer entire HD videos, huge sets of photos and work files. With the help of this you can present your downloads in style with your own backgrounds and a personal URL. You can upload up to three backgrounds and customize your emails too. Some files are confidential. They offer password protected transfers with our Plus accounts to ensure your files never fall into the wrong hands. Your files are never deleted unless you choose to do so. With Plus you're in complete control. You can easily find back any transfer in a nice overview. Resend, forward or delete transfers whenever you want. Sign up for $12 a month, or save 17% with an annual subscription, whatever suits your needs. They will remind you in time when your subscription runs out so your files never get lost. No fuss, no hassle. 2. Click on the '+Add Files' sign and add the files you want to send. 3. Type in the email address of the person you’re sending the files to. 4. Now type in your own email address. 5. Write a short message, if you want. 6. Then simply hit the transfer button and you’re done. It is simple. Isn't it? Yes, you can use the services of WeTransfer on your mobile phones too. It does not matter what mobile devices you use, it works on all types of devices (Android, iPhone). Want to Download this on your phone now? Yes, Ok. Below are the links to download this on your mobile phones. If you use Android Smartphones then here is the link to Download WeTransfer directly from Playstore. If you are iPhone lover then you can also download, below is the link. Download WeTransfer on your iPhone. You can also link your WeTransfer Plus account to the app so you can keep track of your mobile transfers and store them safely in your account for as long as you like. Yes, you should definitely use WeTransfer. I have personally used their services (Free Version) and I said 'Awesome'. My personal suggestion is to first use their free version and if you feel satisfied then you can go for their premium version. Message: I hope that you have enjoyed 'WeTransfer Review 2016: Transfer Big or Small Files Easily to Anyone' article. However, if you want me to deliver more items, then please share my post. You can use Social Sharing Widget provided at the end of every post. After all, Sharing is Caring!